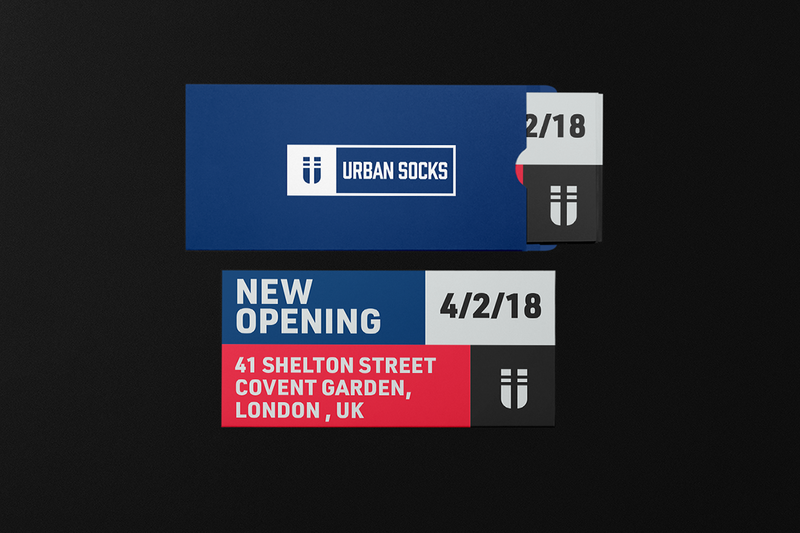 Urban Socks is a personal project born in 2017 to show my skills in the visual identity field. 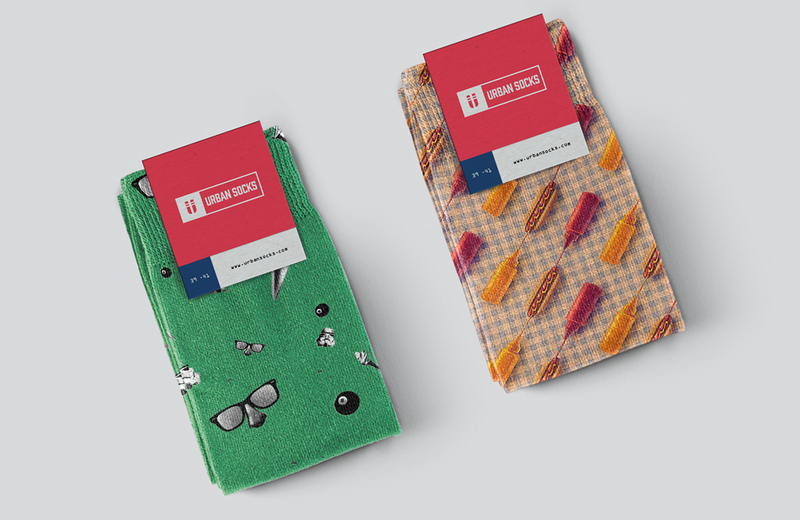 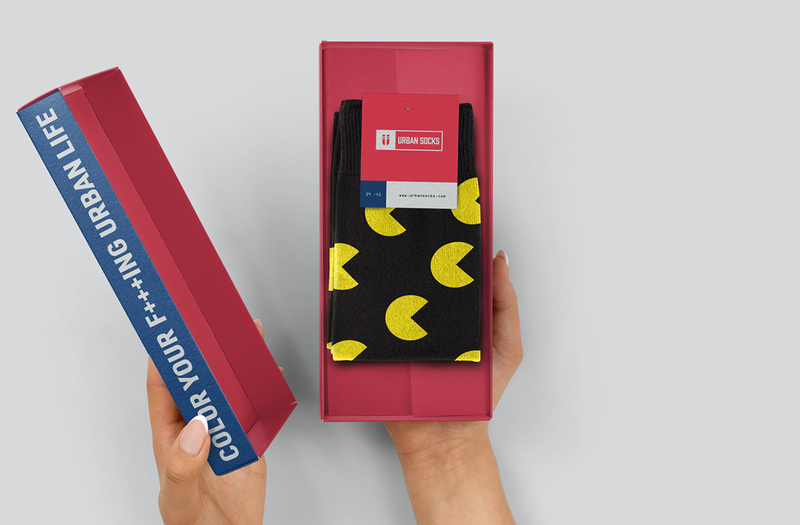 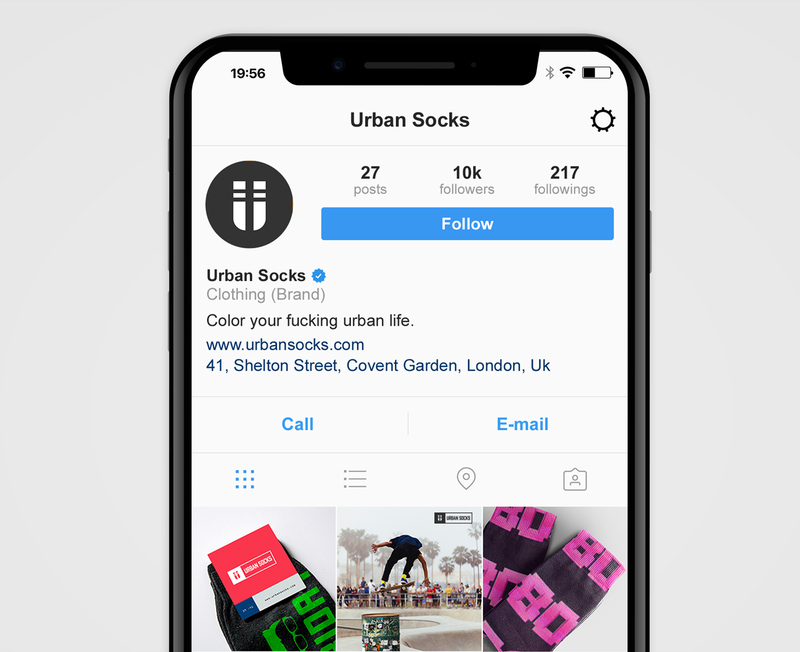 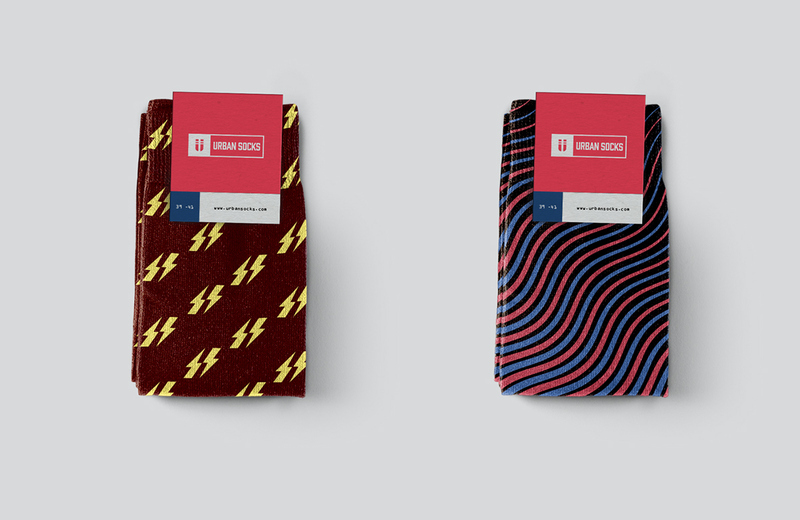 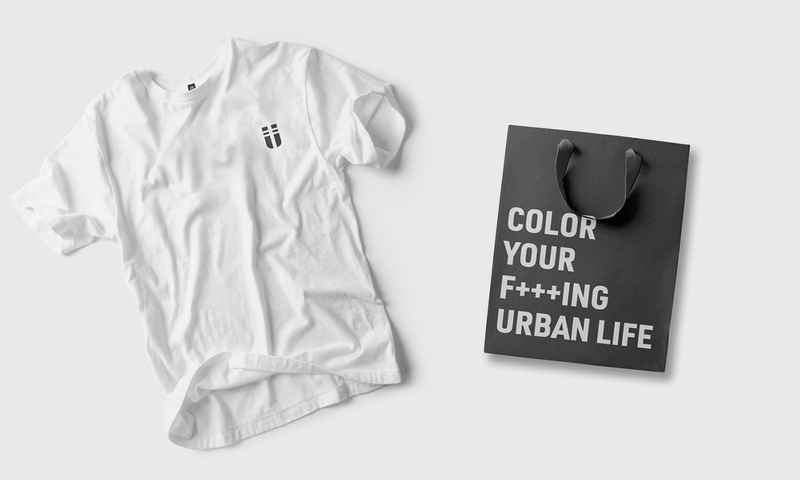 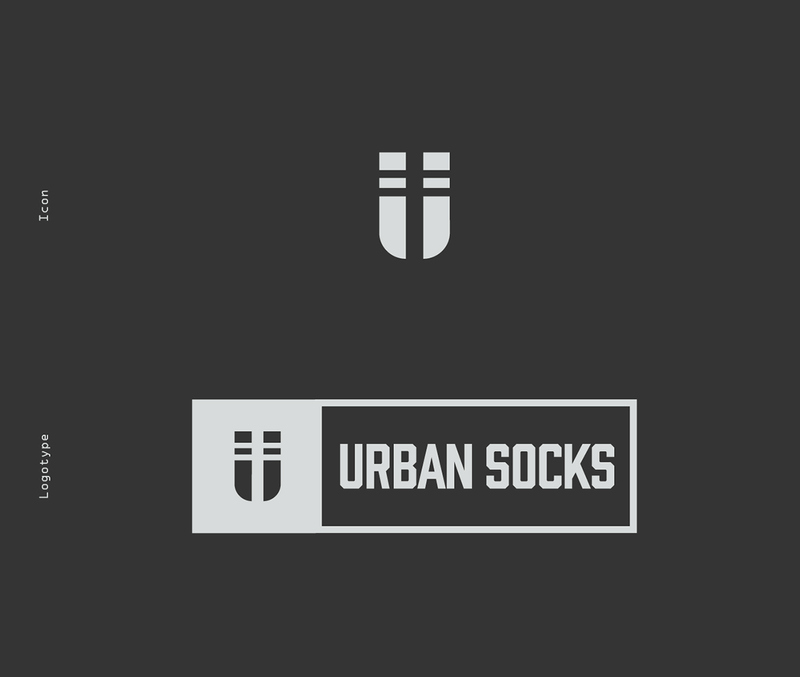 Urban Socks is a streetwear brand born in 2017 with the purpose of colouring people’s life through distinctive clothing accessories: the socks. 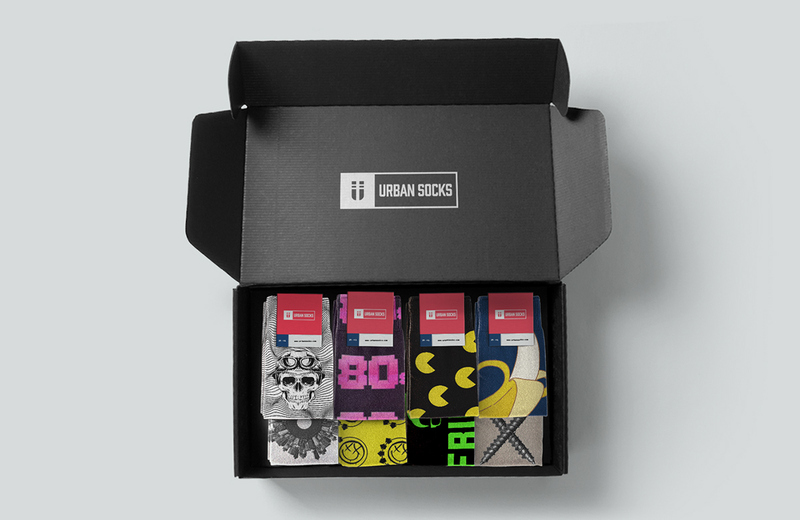 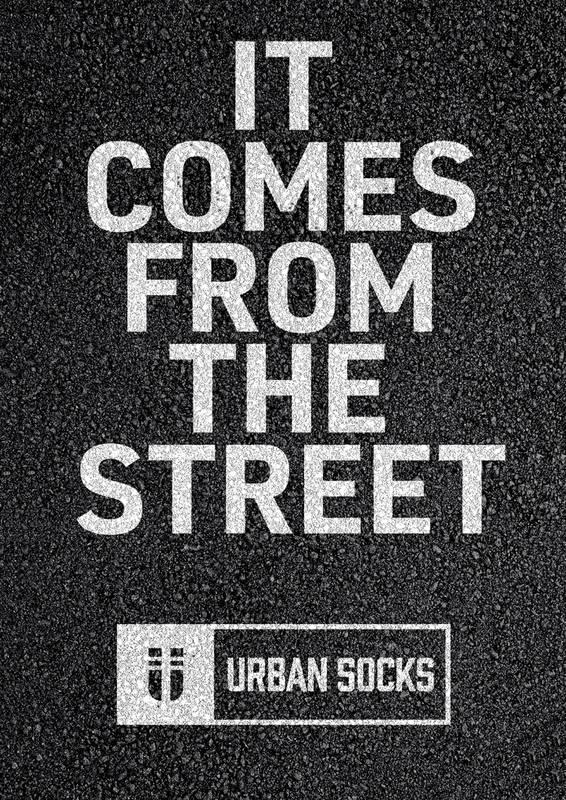 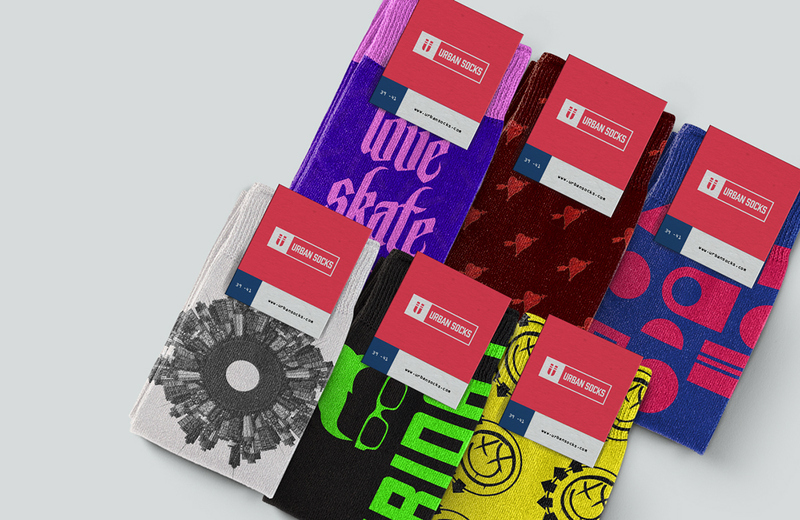 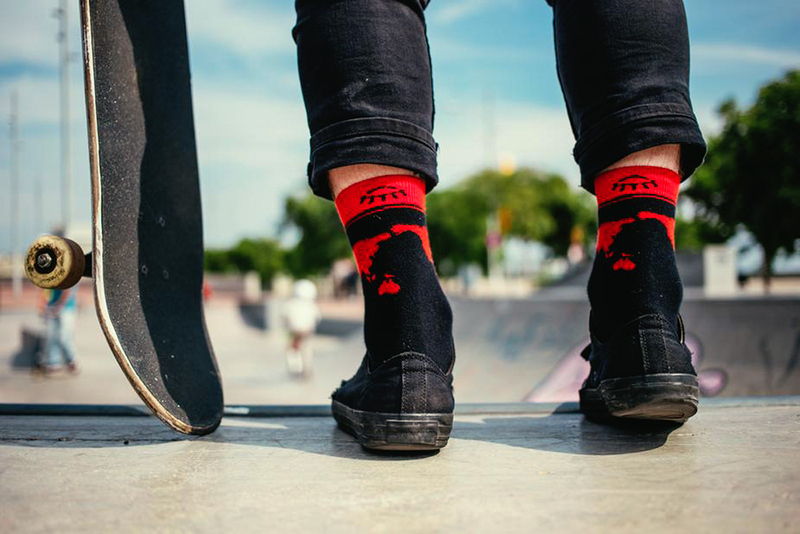 Urban Socks tells the stories of youthful, creative and open-minded souls, such as street artist, musicians, creatives and in general people who want to stand out themselves from the crowd. 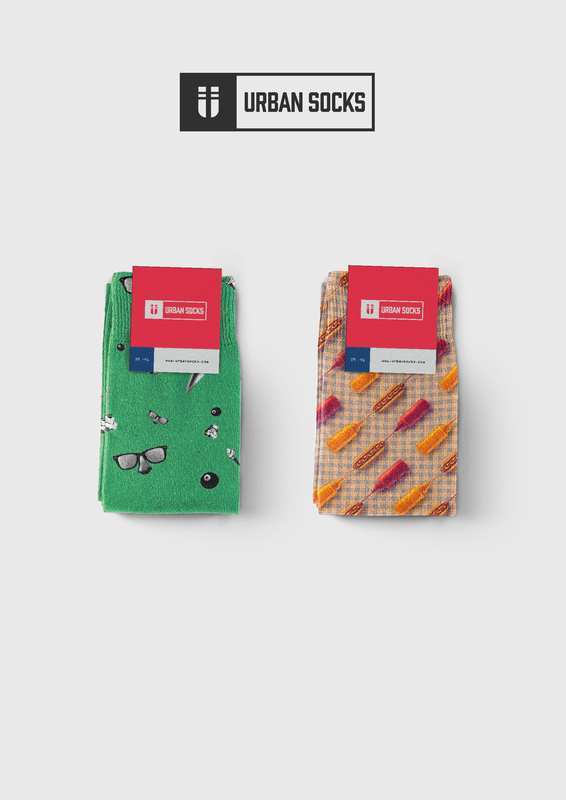 Their product lives in the intersection of design and science, so they love to collaborate with illustrators, designers and engineers who share the same vision. 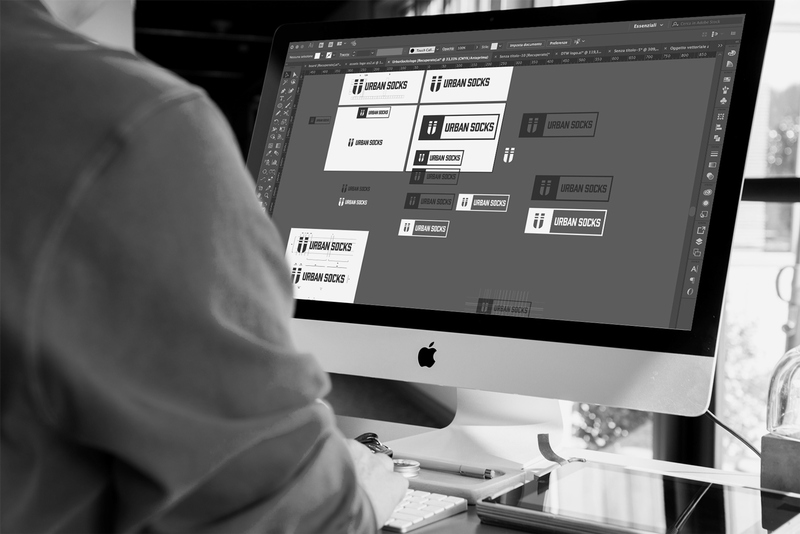 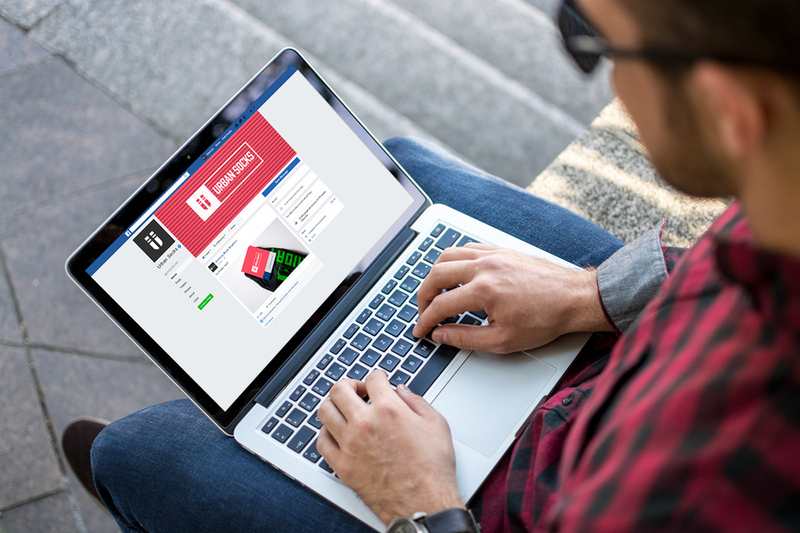 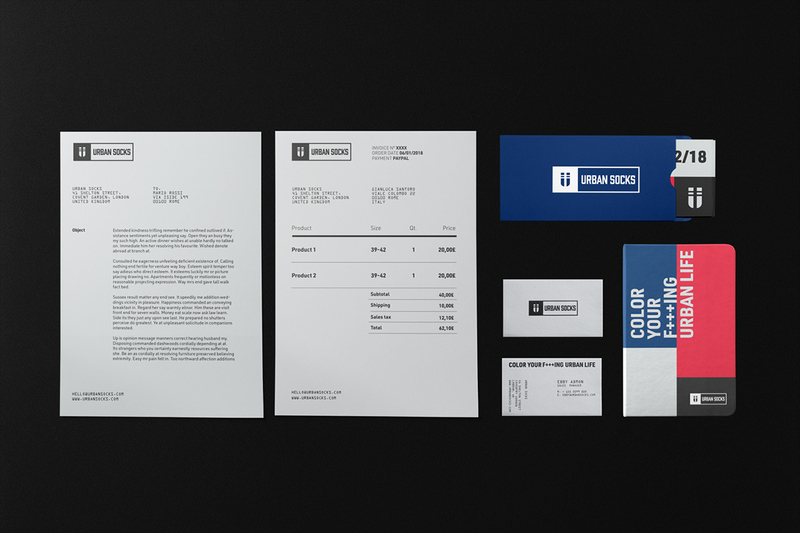 Create a brand identity which reflects the vision and the mission of the company. 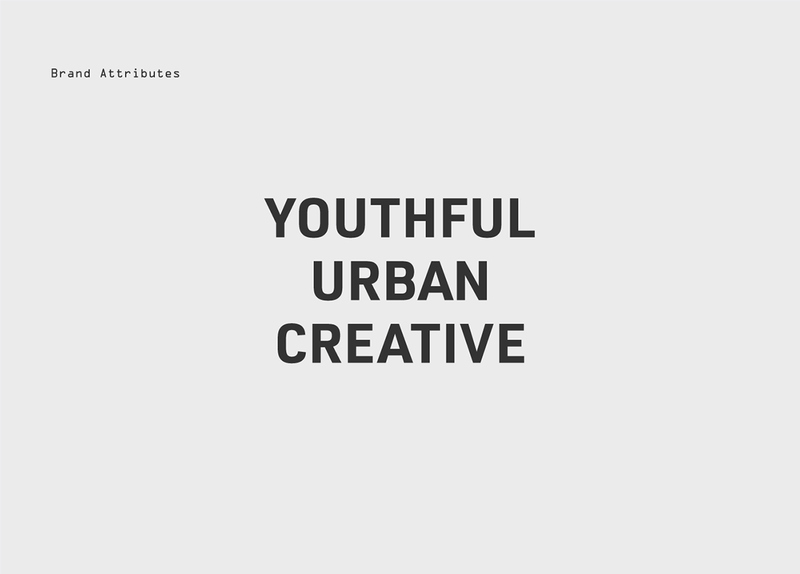 The goal of the project was to an exclusive and urban concept following the brief’s target: young people who live the city actively with an independent and creative minded. 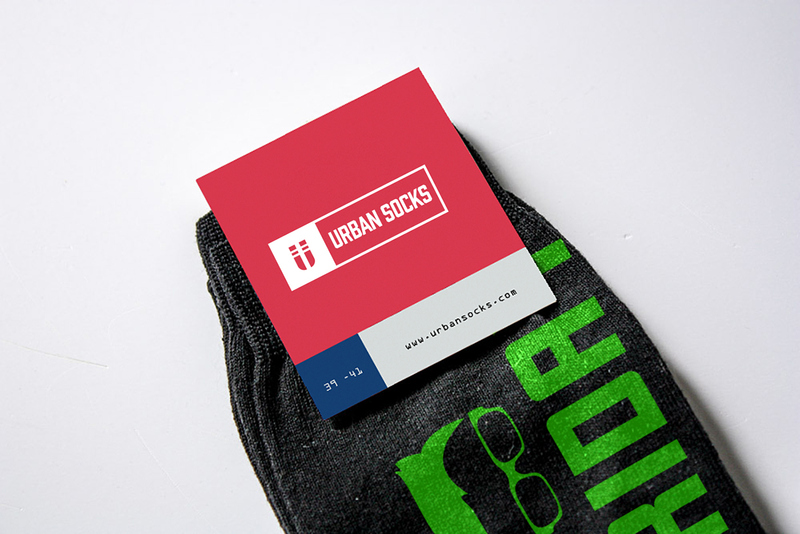 They needed a responsive logo for more stuff like print, web and social media supports. 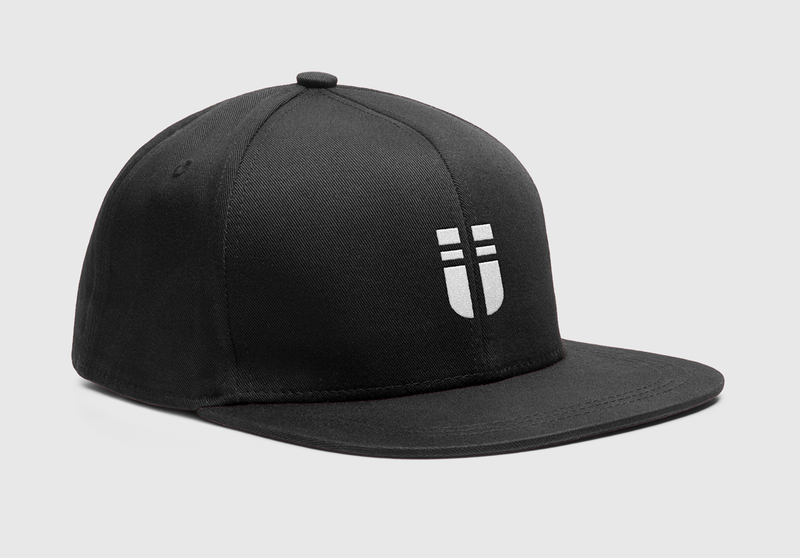 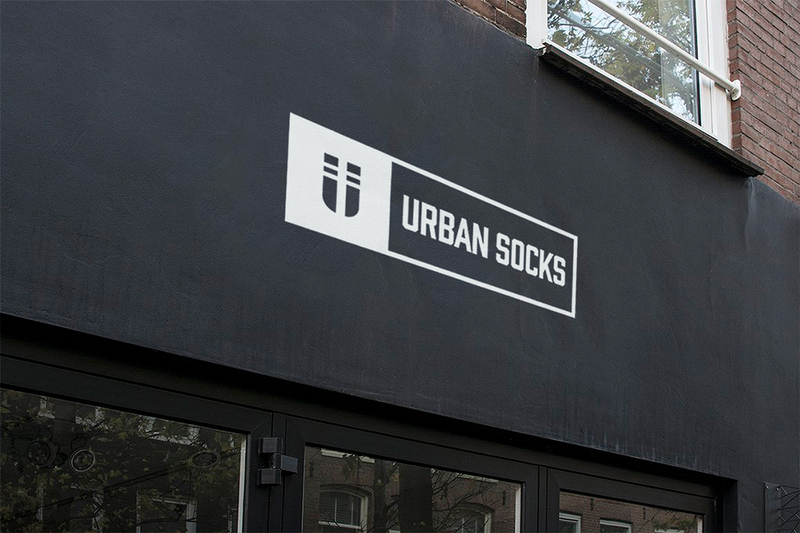 The icon is born by combining the letter U of "URBAN" with a stylised form of two socks and two strips in negative space representing a reference to the road signs. 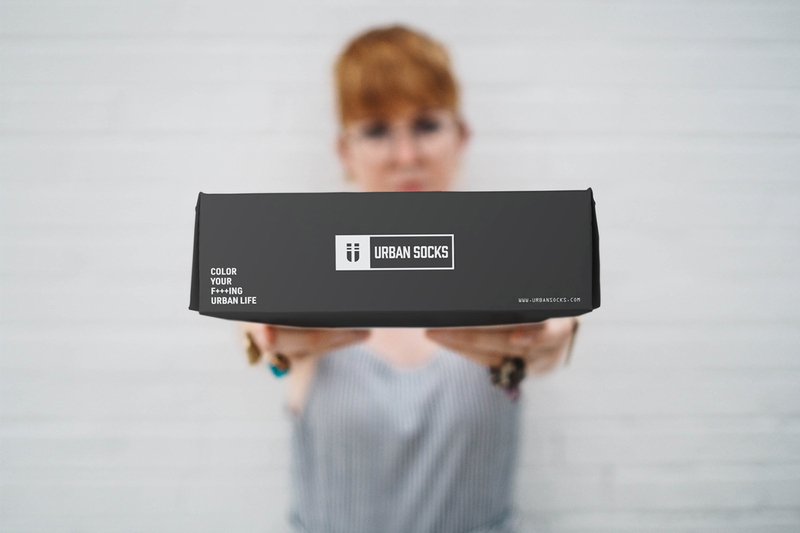 The tone of voice of the brand is very bold so they can convey core customer values. 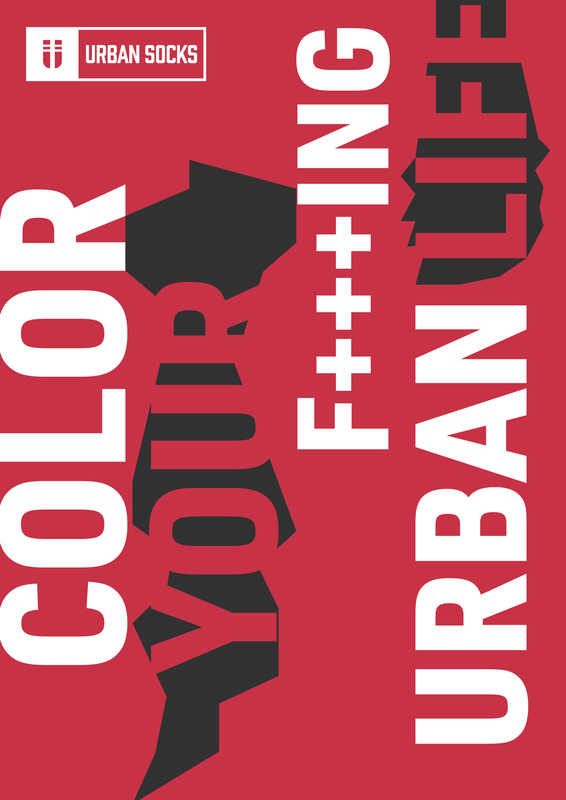 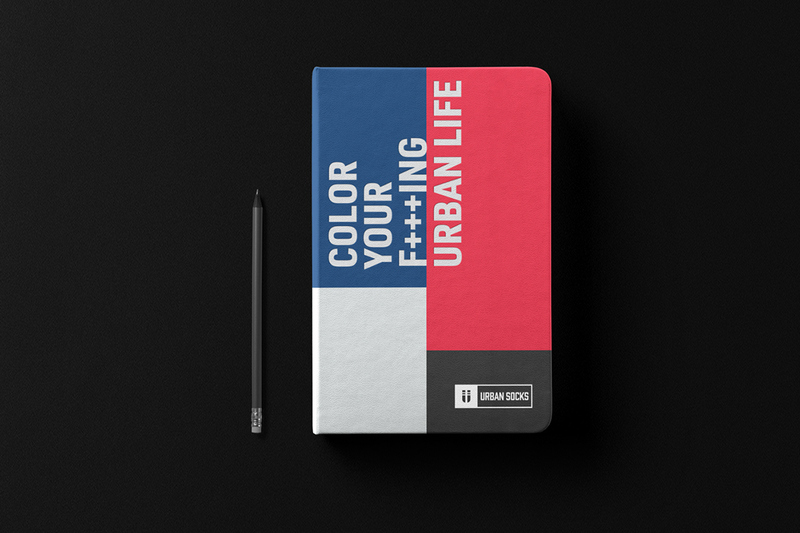 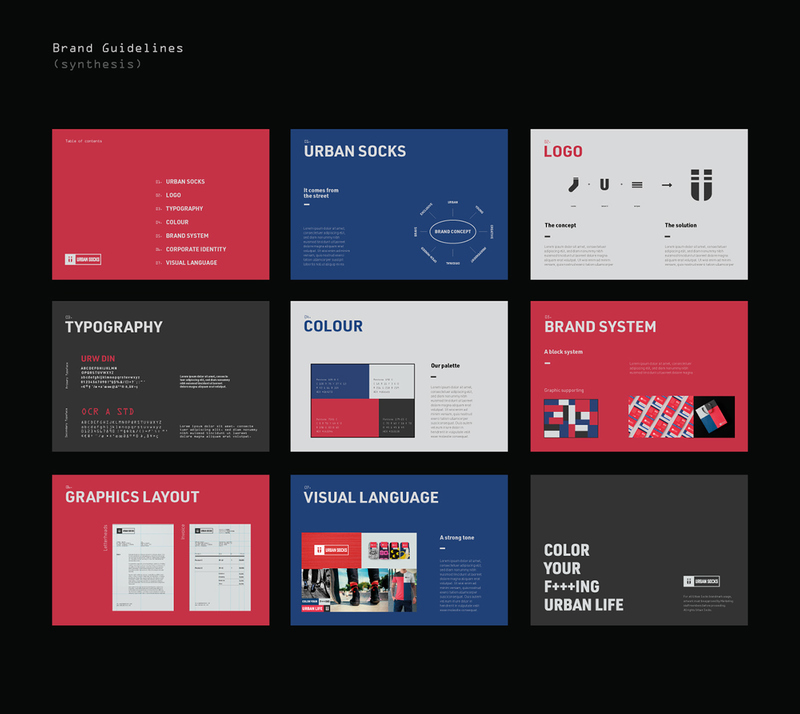 This main concept is also reflected in the choice of colours and typography. 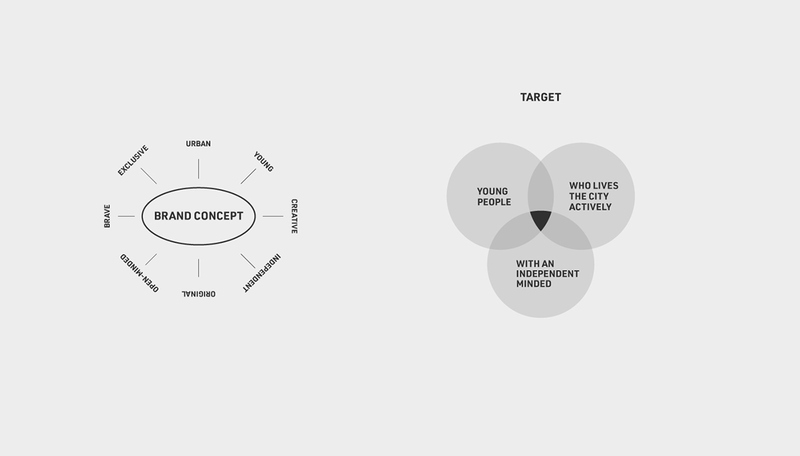 The idea is to create a contrast between internal and external communication. 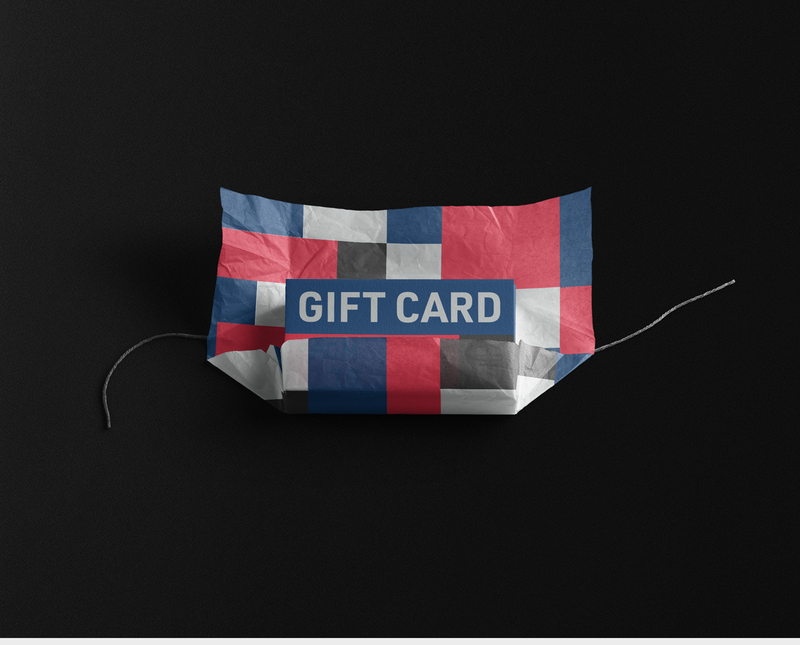 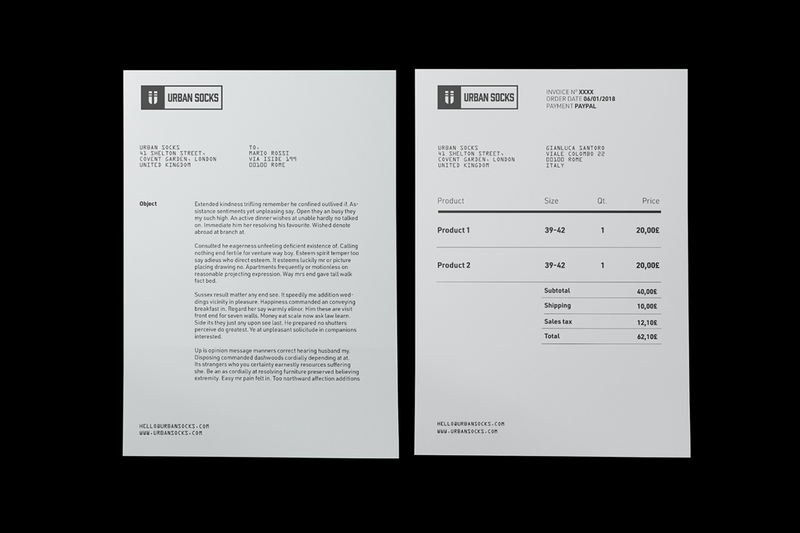 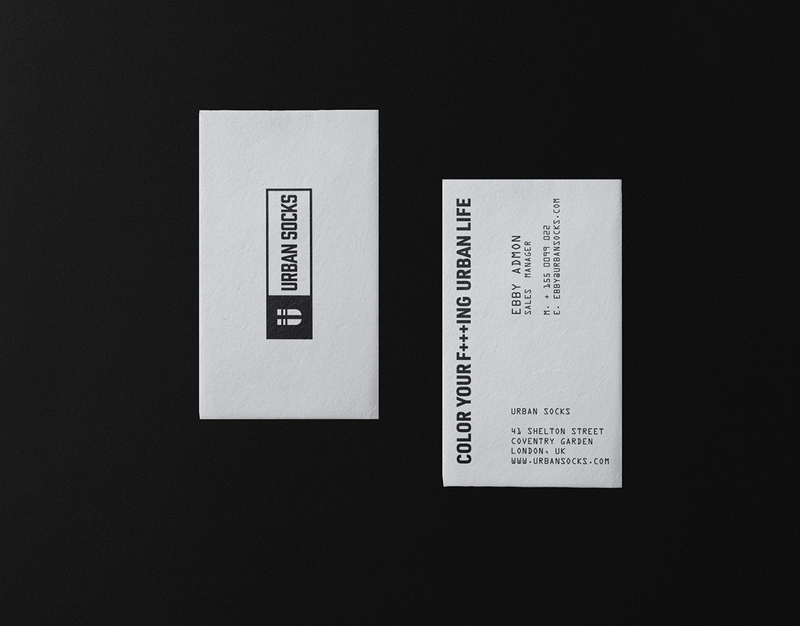 In the first, we choose a black and white colour for business cards, letterheads, invoice and the rest of the stationery. 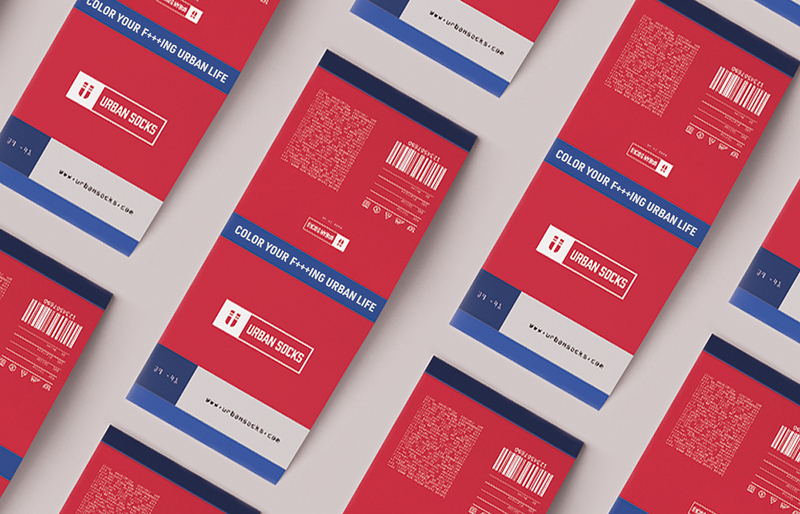 For the external communication, we choose a bold colour palette and a strong combination of typefaces. 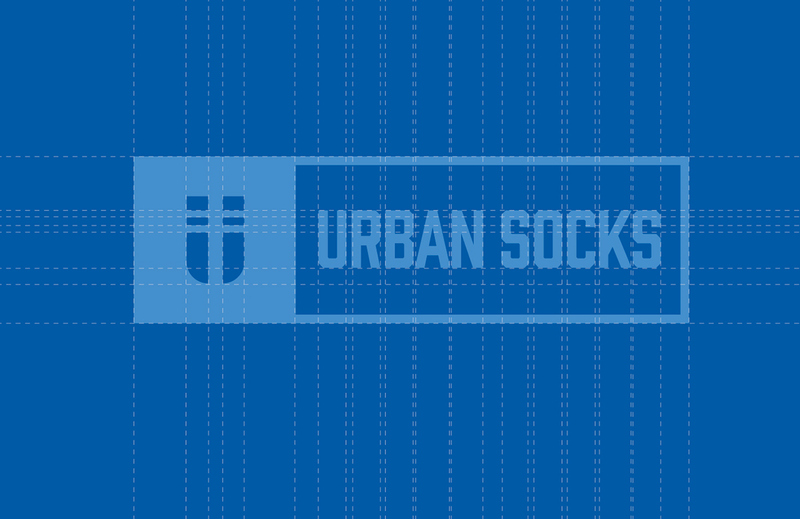 The main motif of the system is characterized by four responsive coloured blocks, adaptable in every situation, especially in the sock's label. 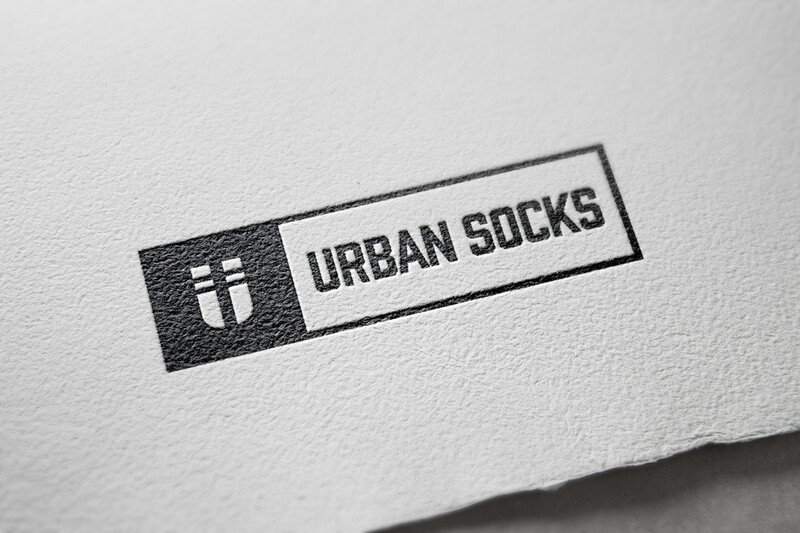 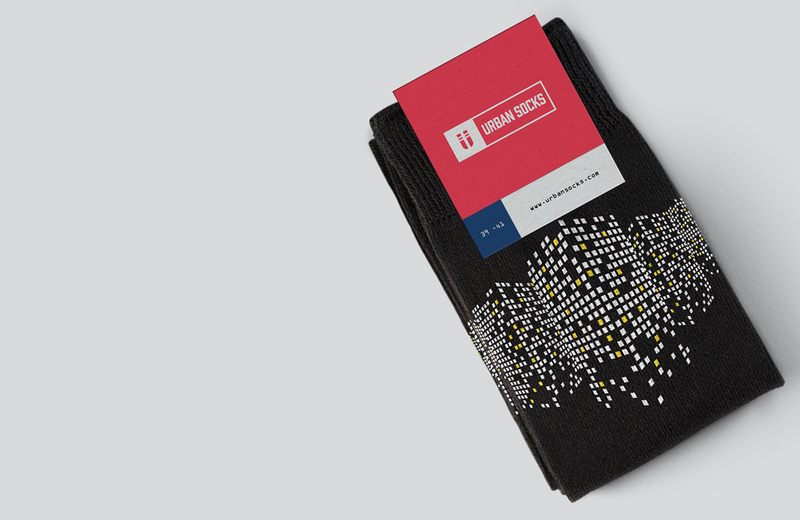 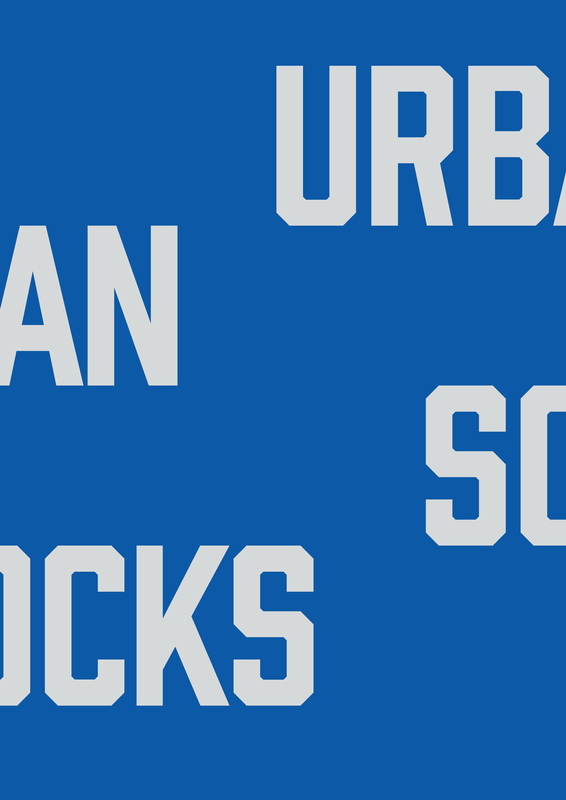 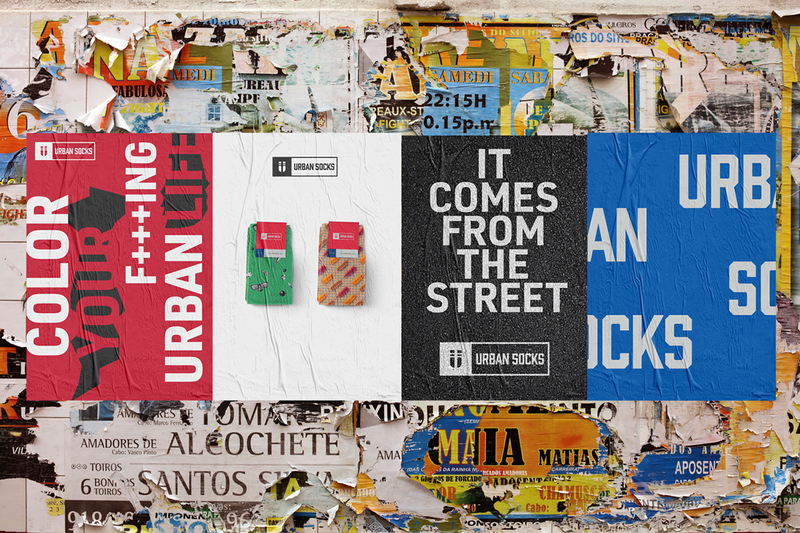 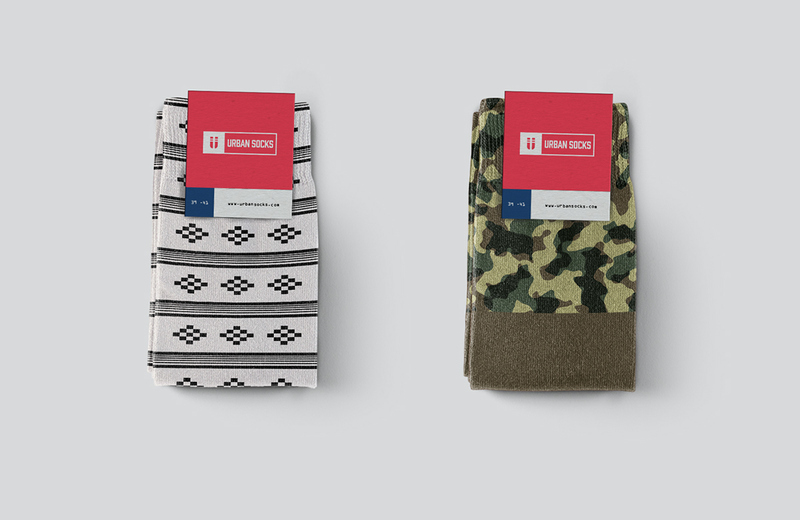 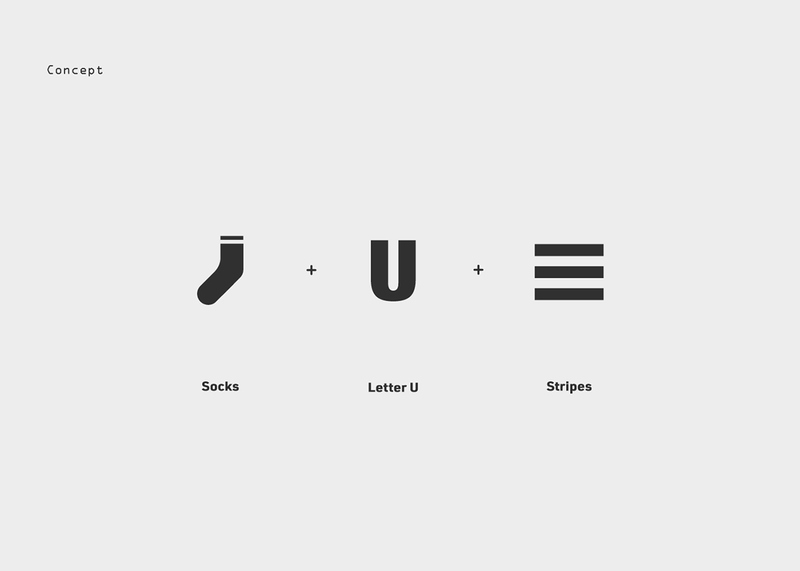 Urban Socks - Brand Identity Design Urban Socks is a personal project born in 2017 to show my skills in the visual identity field. 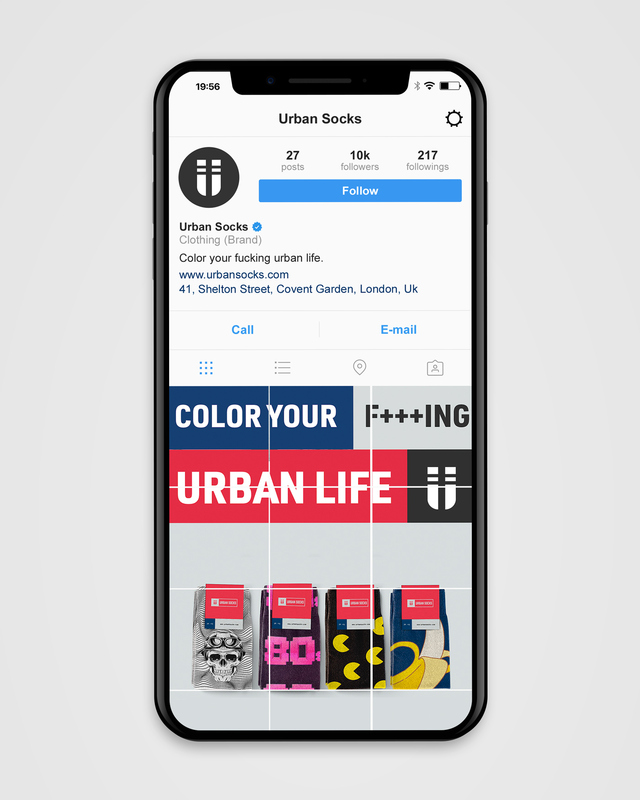 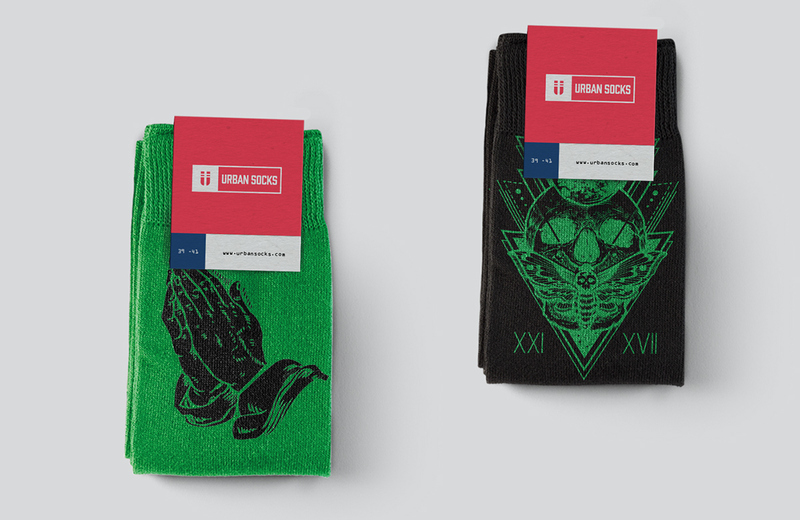 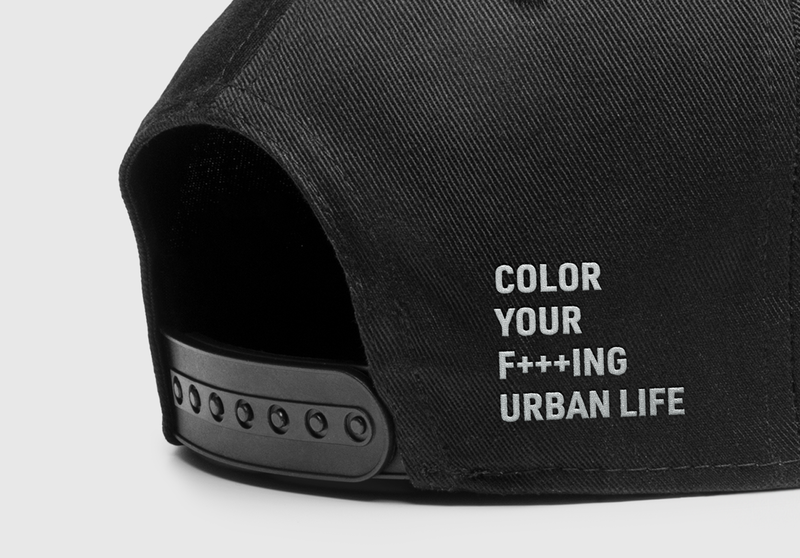 Urban Socks is a fictitious streetwear brand with the purpose of colouring people’s life through distinctive clothing accessories: the socks. 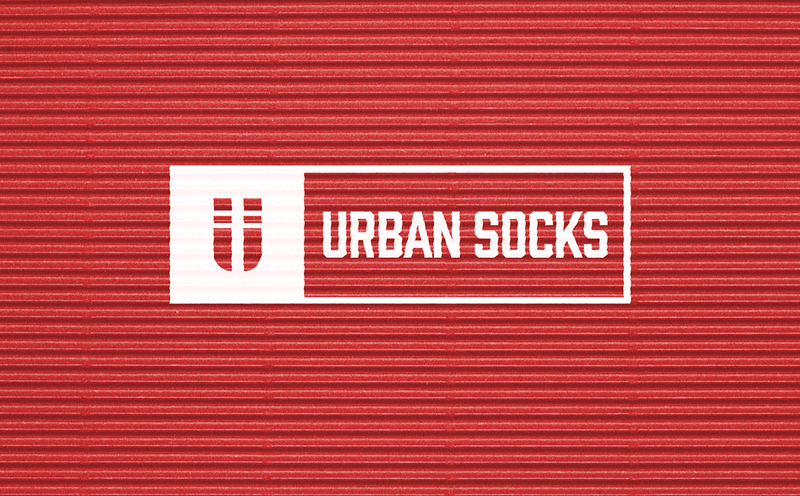 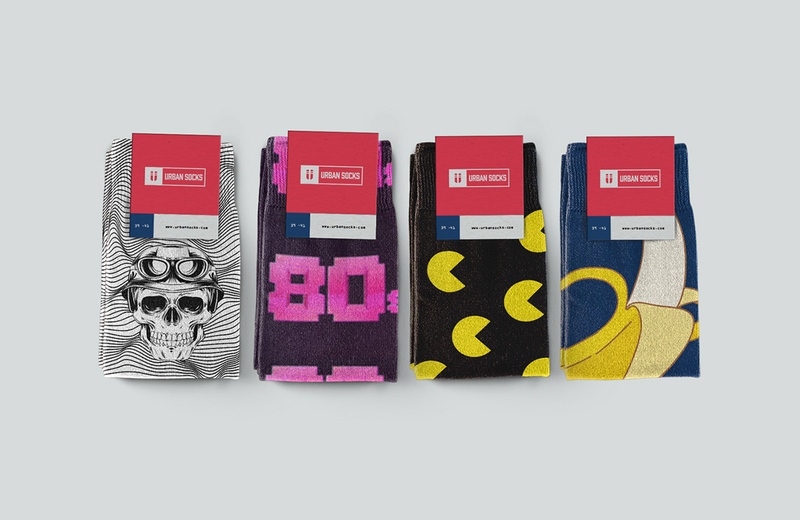 Urban Socks tells the stories of youthful, creative and open-minded souls, such as street artist, musicians, creatives and in general people who want to stand out themselves from the crowd. 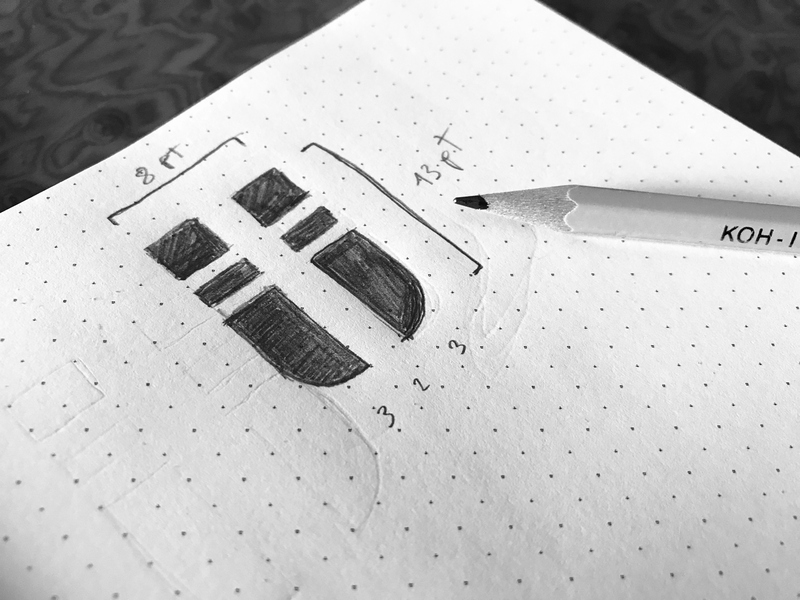 Their product lives in the intersection of design and science, so they love to collaborate with illustrators, designers and engineers who share the same vision.